Creating your home to fit seamlessly within its surrounding environment is our goal, blending the style and shape of your new home to accentuate the contours of the Arizona landscape. Since 2007, Morgan Taylor Homes bases itself on the philosophy of providing top quality construction, maximized value, flexibility & client experience. Call us today! Whether beginning a new project or rejuvenating an existing home, Sonoran Classic Builders is ready to ensure the project is completed to our clients' specifications. I am a general contractor specializing in residential, custom home building, build to suits or remodeling projects. I work closely with my customers to make their dreams come true! From extensive renovations to complete custom builds, Sonora West Development is committed to designing, building & delivering dream homes to each and every client. Work with our award-winning team! 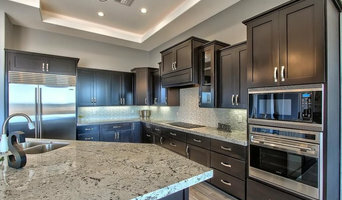 Hendricks Construction is a custom home builder based in Arizona. Our focus is a commitment to building the highest quality homes featuring outstanding craftsmanship & impeccable design. Bolte Custom Homes LLC is a luxury home builder based out of Scottsdale, Arizona with a focus in building custom homes throughout the Scottsdale, Paradise Valley, and surrounding areas. We specialize in high end custom homes & remodels and select, high finish, commercial construction. We are a small company focused on enhancing the client experience. “As a family and company, Nanke Signature Group has an obligation to uphold the reputation we’ve earned today by providing outstanding customer service and delivering a superior product for our clients, maintaining the highest standards of morals and integrity that encompass the values of what is more than just our business, but furthermore, our passion.” Nanke Signature Group, a family-owned and -operated company, has crafted superior, custom homes for 70 years. The tradition all began in Sedona, Arizona, where General Contractor Don Nanke, along with his brother-in-law and renowned mid-century modern architect Howard Madole, developed a precedent for the city’s home building industry. Their creative legacy inspired others, and as young teenagers, Don’s sons, John and Todd Nanke, started working in construction under their father and Uncle Howard, learning every facet of the building industry from masonry to finish carpentry and design. Today, John, Nanke Signature Group Owner and General Contractor, and Todd, its Chief Architectural Designer, carry on Don and Howard’s legacy, upholding the reputation of an elite, custom luxury home building partnership that can accomplish the otherwise deemed impossible. In 2014, John’s son, Jared Nanke, became the fourth generation of Nanke Signature Group, ushering a fresh perspective to an already diverse and creative team as its Creative Director. Acquiring partial ownership in 2015, it’s been Jared’s greatest ambition to grow and diversify the company to better serve and care for the needs of their admired and respected clientele. 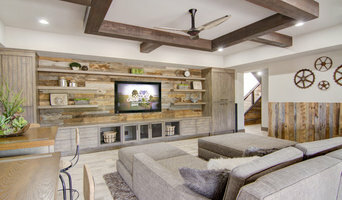 At LaBlonde Development, we specialize primarily in the designing and building of custom homes in the Scottsdale, Carefree, and Cave Creek areas. High utility bills? Not while you’re living under our roof, mister! We build innovative homes that deliver value, help you save money and live better. Stonecreek Building Company creates many of the most distinctive buildings in the Southwest and has had our projects featured in design digests worldwide and awarded prestigious AIA honors. At Homes by Monarch we are experts in not only the craft of creating timeless, elegant homes, we are always mindful of your budget and timeline. Our company was established by two brothers who, after serving their country for more than 20 years, retired from the military to fulfill their dream of building quality custom homes. As a family owned business, we take ownership in every project we complete, ensuring that our clients have a trustworthy and dependable builder from start to finish. What’s the most important step in building a new house from the ground up? Many people would say it’s choosing the right Carefree home builder. Constructing a new house is a huge and multifaceted undertaking, so it’s important to find custom home builders in Carefree, AZ you can trust to bring your vision to life, as well as keep the process under control from start to finish. Although a construction job is never without surprises and challenges, a Carefree, AZ home builder who’s a good fit for your specific project will make these far easier to handle. For Carefree residential home builders who also act as developers, the job starts well before the first nail is driven. They perform local market research to determine whether the prospective homesites make sense in the Carefree, AZ market, as well as survey the land on which the house will be built to make sure it is suitable for construction. Custom builders also obtain the necessary permits. A good custom home builder in Carefree, AZ has skills that go far beyond construction — he or she must supervise subcontractors and artisans; keep tabs on local zoning regulations, building codes and other legalities; inspect work for problems along the way; and perform dozens of other roles that are essential in building a quality house. Here are some related professionals and vendors to complement the work of home builders: Interior Designers & Decorators, Landscape Architects & Landscape Designers, Architects & Building Designers, Kitchen & Bath Designers, Specialty Contractors. House builders are responsible for ensuring that the home-building project sticks as closely as possible to the specified timetable, particularly in the event of change orders. Custom and luxury home builders in Carefree, AZ also need interpersonal skills to deal with clients of all types, soothe frazzled nerves, negotiate conflicts and resolve problems. Find custom home builders in Carefree, AZ on Houzz. Narrow your search in the Professionals section of the website to Carefree, AZ home builders. You can also look through Carefree, AZ photos to find a house you like, then contact the builder who worked on it.